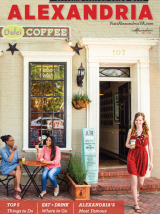 Save money on your trip to Alexandria, Virginia with these special deals and happenings from Alexandria hotels, shops, restaurants and attractions. Be sure to check back often as new offerings are always being added. Find a great deal at a restaurant you want to try? Make online reservations here right now!